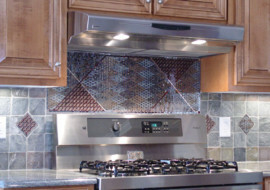 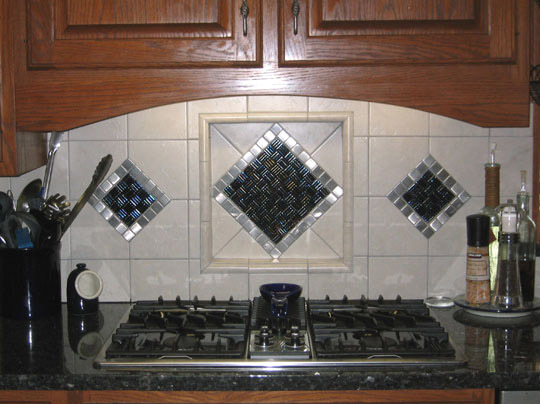 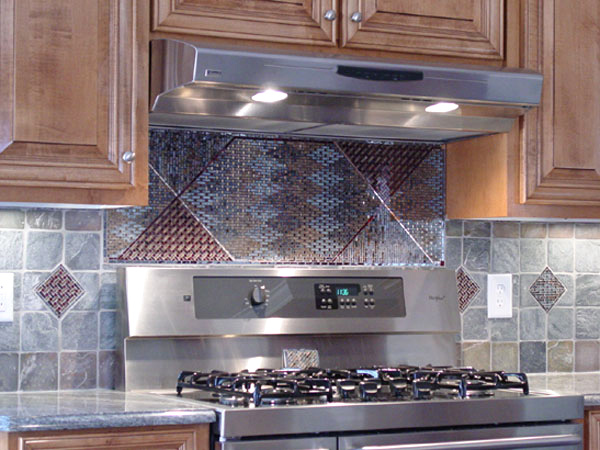 We should not underestimate the power of decorative kitchen accent tiles and medallions to a kitchen backsplash. 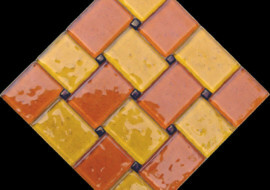 They can provide just the “pop” you are looking for whether it be through color or texture or design or combinations. 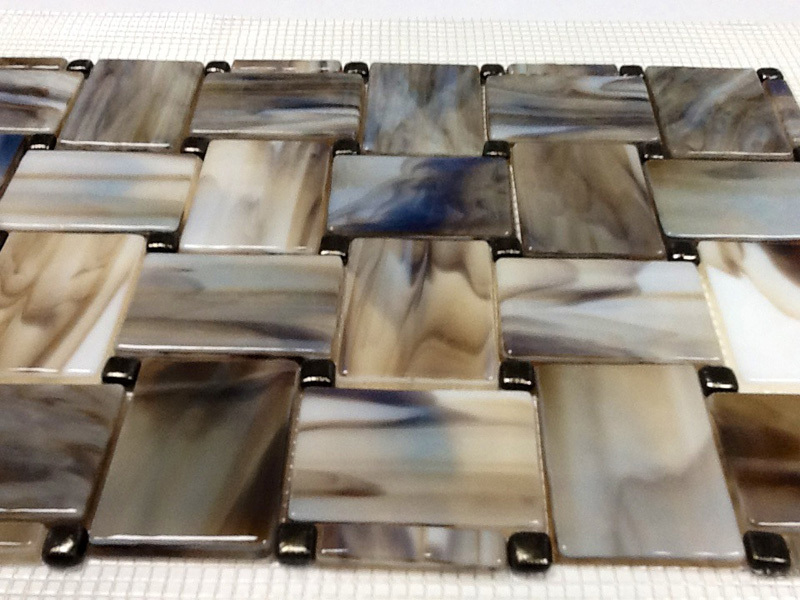 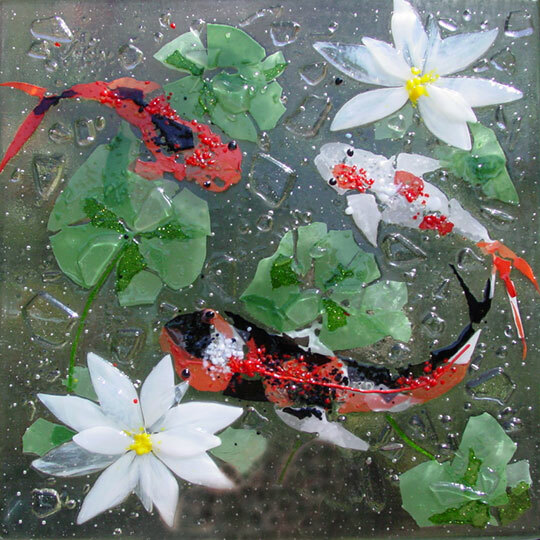 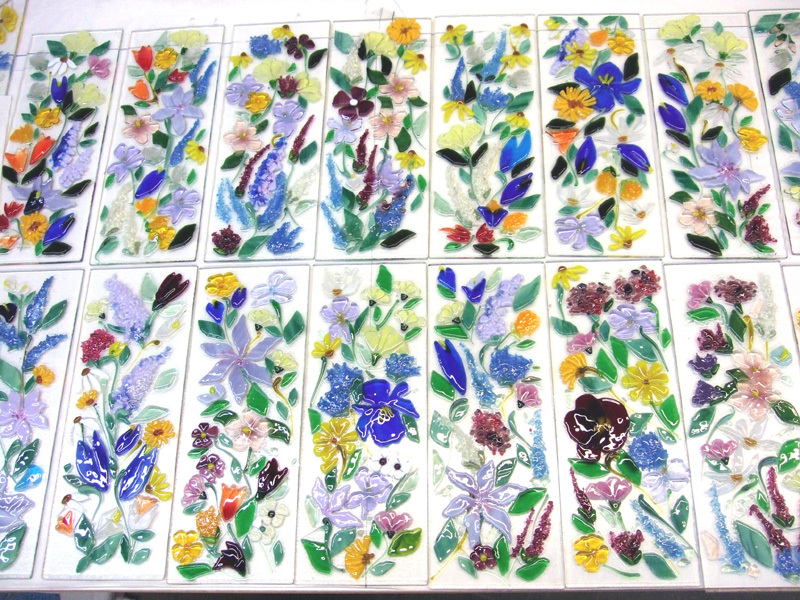 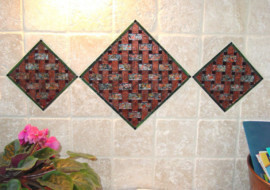 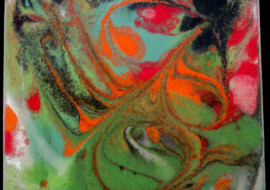 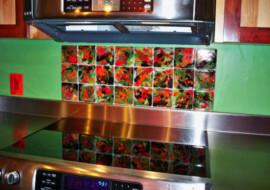 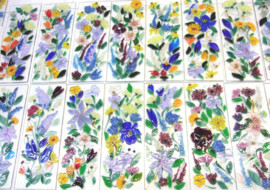 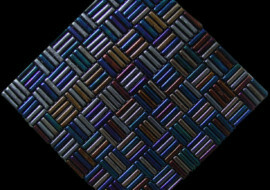 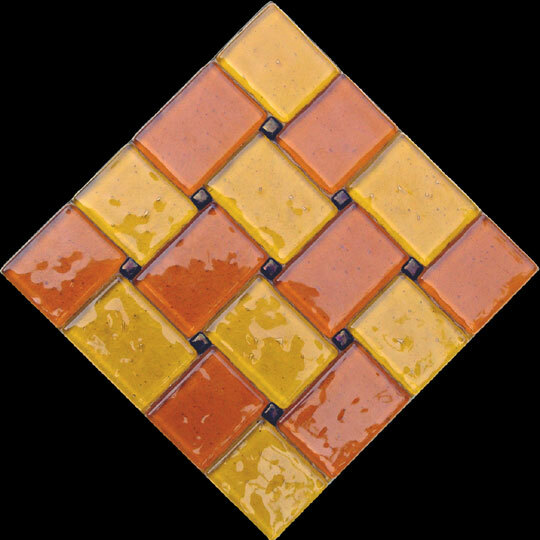 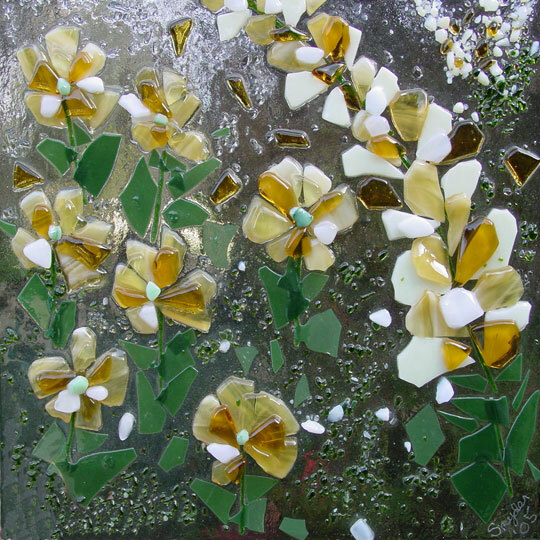 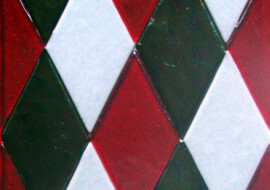 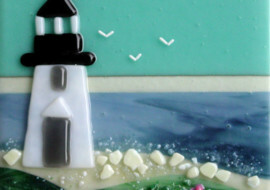 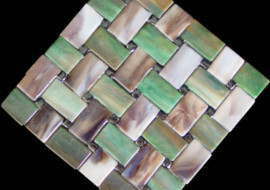 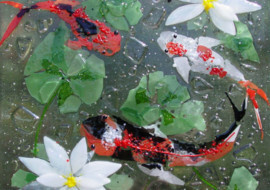 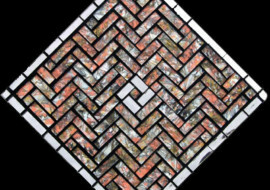 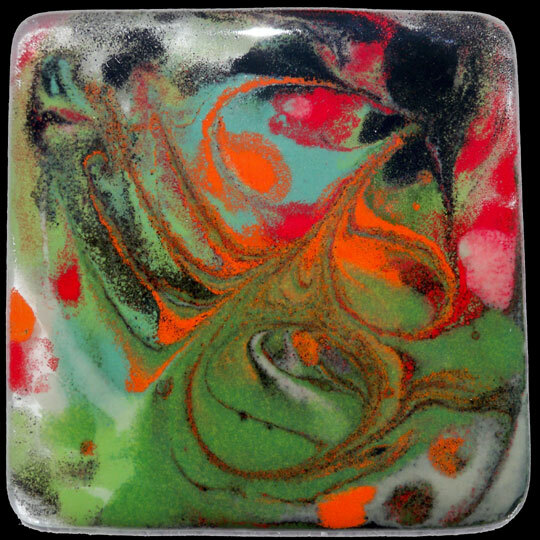 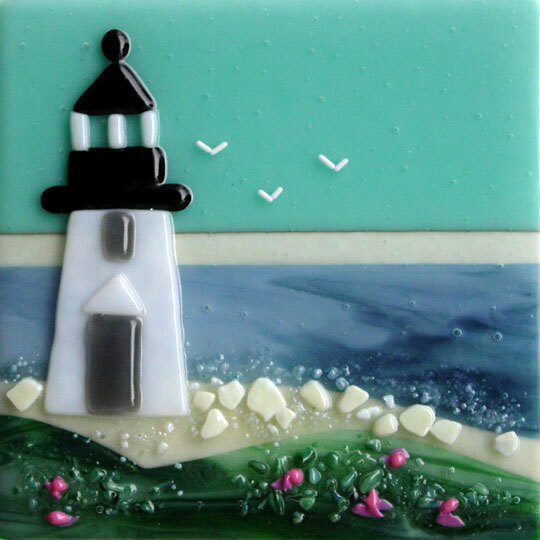 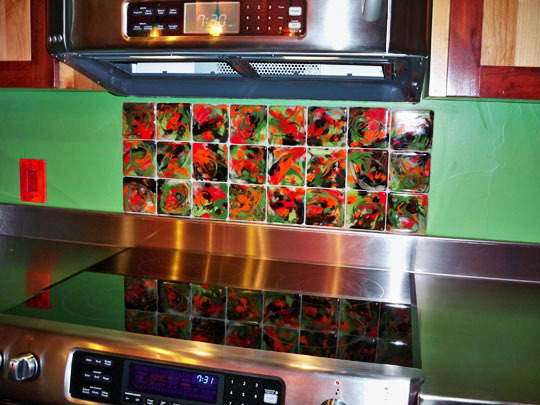 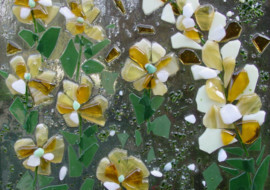 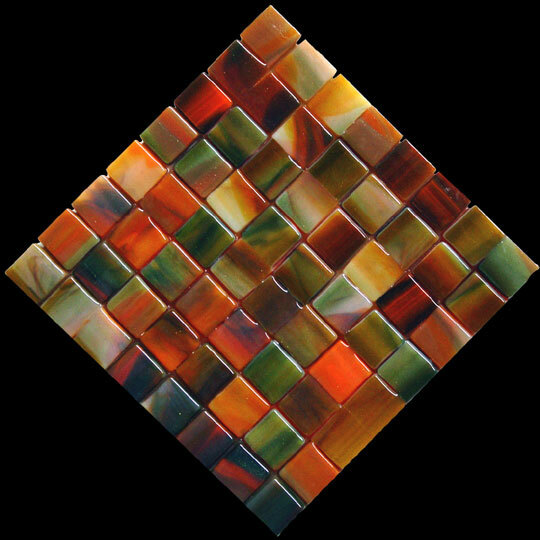 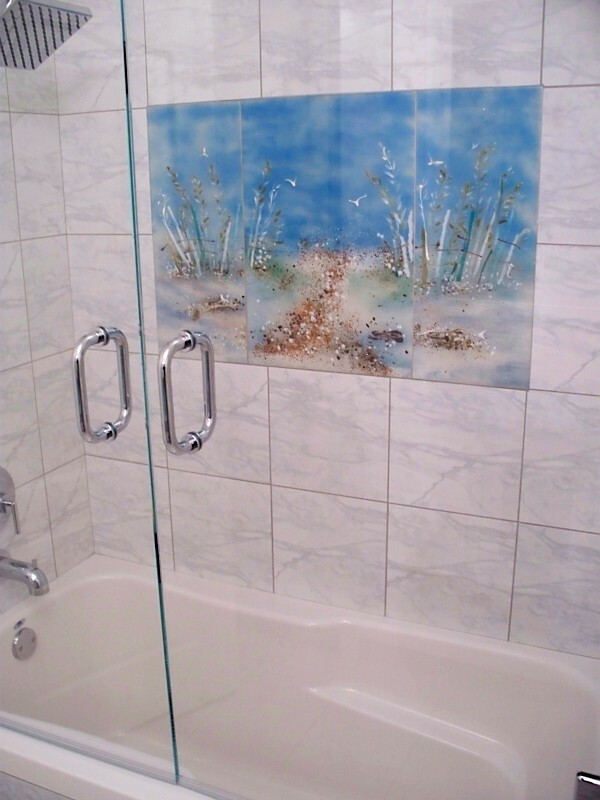 Let us create some unique coordinating accent tiles or medallions in fused glass or mosaic glass for your kitchen. 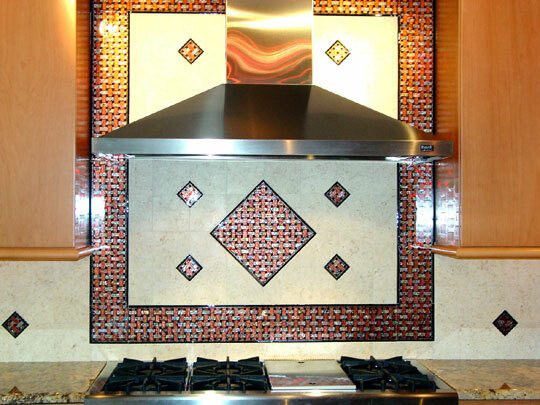 The design and color alternatives are endless from geometric, floral, abstract, themed, etc. 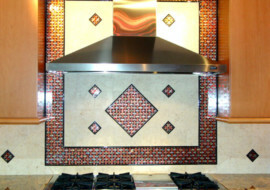 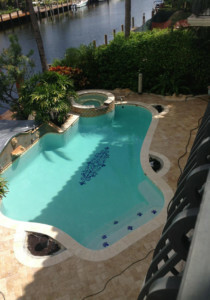 We include a gallery below of some photos of accent tiles and medallions we have created for our clients. 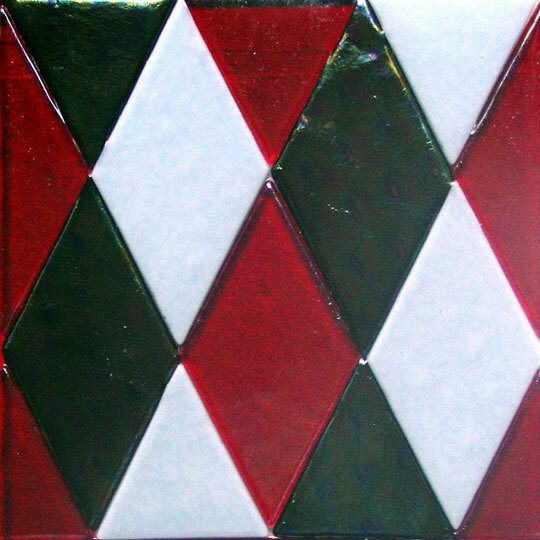 Everything with us is a variable from the dimensions, to the design to the color. 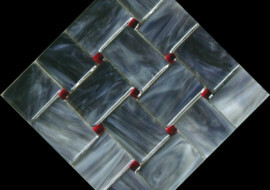 Most of our ideas come to us from our clients. 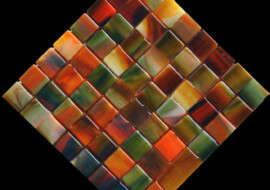 All of our glass work is hand made at our design center in Pineville, North Carolina by AMERICAN artisans. 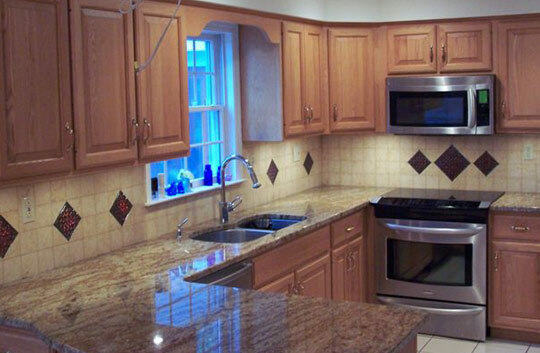 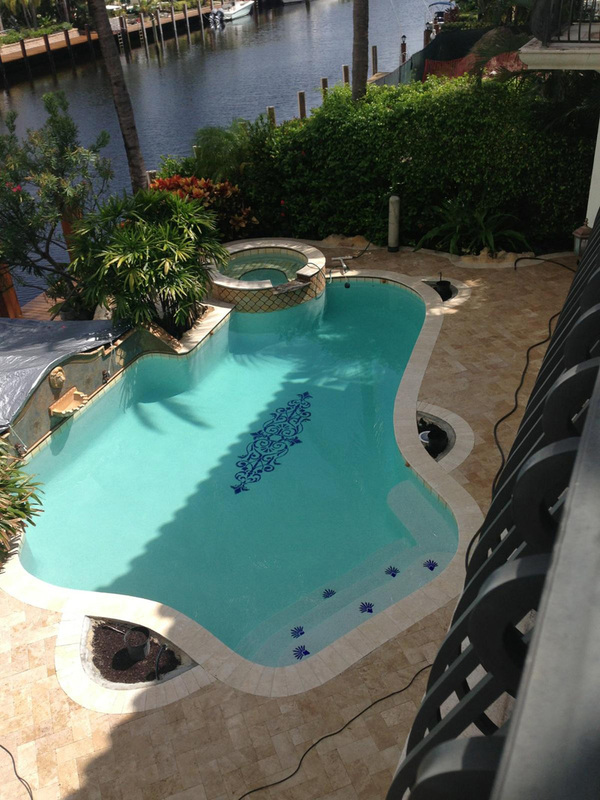 We have years of experience working with hundreds of clients throughout the United States. 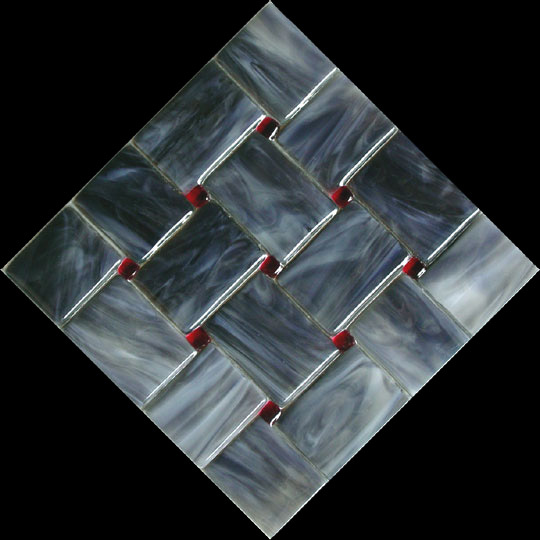 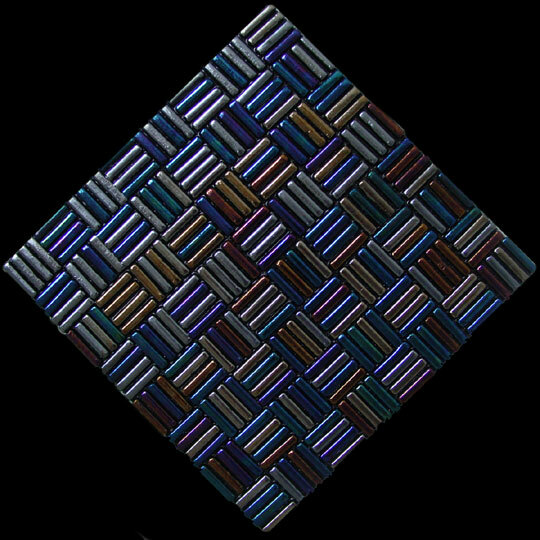 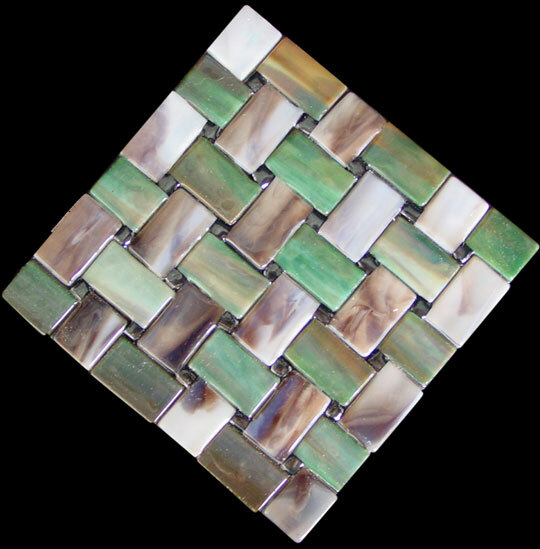 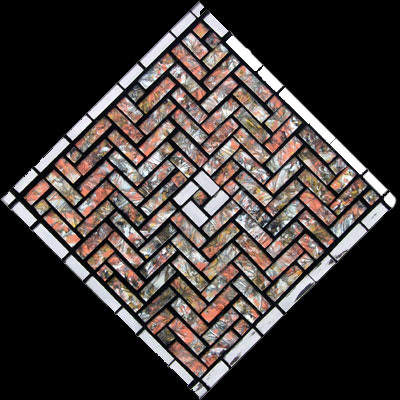 We hand cut the mosaic or fused glass tiles from sheets of stained glass using predominately hand tools paying careful attention to every detail along the way. 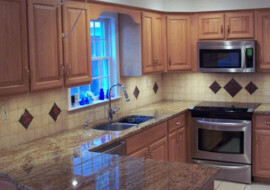 We take great pride in our work and we measure our performance by our client’s response when they receive our work. 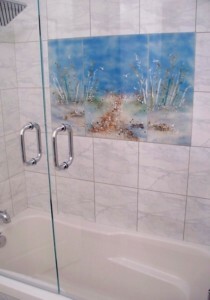 This explains why many of our custom glass works look like paintings but they are 100% glass.